South Korean Giant, Samsung finally dropped down curtains from the most anticipated foldable device at an Unpacked event in San Francisco. You can officially call it as Samsung Galaxy Fold, not Galaxy X or F or whatever rumored earlier. The Company also unveiled four new Galaxy S10 phones, along with earbuds and smartwatches. 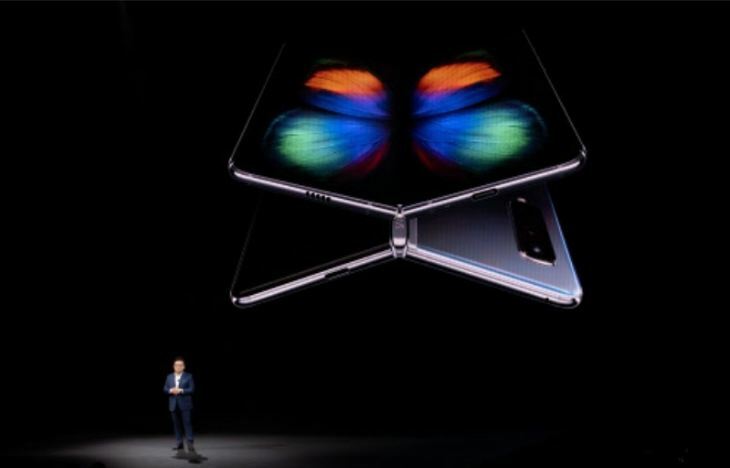 But Samsung Galaxy Fold was the ‘showstopper’ of the event. If you are already obsessed with all this foldable stuff then you must have a look at Samsung’s first flexible device. Nevermind prices are too high! The device features a regular thick 4.6-inch display which opens into a large 7.3-inch tab. I bet you will not like the device in its phone version as the screen lies between two huge bezels. However, manufacturers including Samsung are trying to remove it. You know what’s the best part is, the hinge is not visible while the device is unfolded. Whereas, the ‘tablet version’ gives premium look. Further, It has six cameras: Three on the rear panel, one selfie shooter and two inside. Now coming on to the specs, The device is powered by a 7nm octa-core processor with 12GB of RAM and 512 GB local storage. You can’t expand the storage externally, but that’s not that big issue I guess. The Company uses Infinity Flex Dynamic AMOLED panel for touchscreen and two batteries for two displays. Both the batteries offer a total capacity of 4,380mAh. 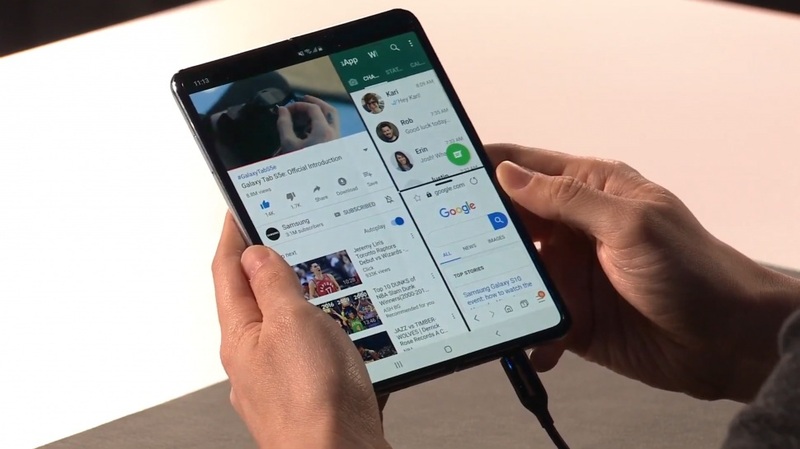 As far as the software is concerned, Samsung Galaxy Fold runs on Android Pie and packs several software customizations too. Moreover, You can run three apps simultaneously on the large 7.3-inch. There’s something called as App Continuity for a seamless transition from the smaller screen to the larger and vice versa. The Company is not alone in the market, many others are working on foldable phones of their own, including Xiaomi, Lenovo, and LG. Surprisingly, Apple is also cooking something in Cupertino. If Apple does it for real what will be its pricing strategy? Will it be higher than that of Samsung’s most expensive, Galaxy Foldable? It is the most expensive Samsung smartphone to be ever launched with a price of Rs 1.41 lakhs. South Korean Giant will launch Galaxy Fold in India as well, however, price in India remains unclear. The device will be available from April 26. Samsung’s foldable device will be available in four colors – Green, Blue, silver, and Black. Moreover, Samsung Galaxy Fold will be sold in both 4G LTE and 5G variants.